Dionysus was drunk one night. While he was drunk and clueless he was captured by a gang of aggressive pirates. Dionysus woke up and found himself surrounded by miles of sea. He explained to the pirates who he was but the pirates didn’t believe him and they burst into laughter. However, there was one pirate who did believe Dionysus and he begged for the other pirates to release him, but they refused to listen. 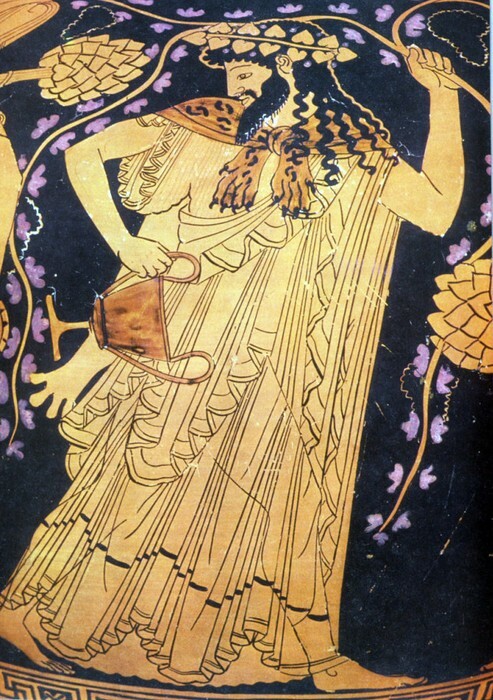 Dionysus got so angry he shot vines through the sails and mast. Then he fills the ship with wine. The pirates were all so terrified they leaped into the sea and Dionysus turned them all into dolphins except the friendly pirate who believed him. Dionysus was the fun and cheerful god of strong emotions, high spirits and wine. He has two main symbols, vines and his Kantheros that he is always seen holding in his hand. He is the son of Zeus, the god of the sky. Dionysus was born in the city Thebes. Most of the myths about Dionysus are based in the city he was born in.